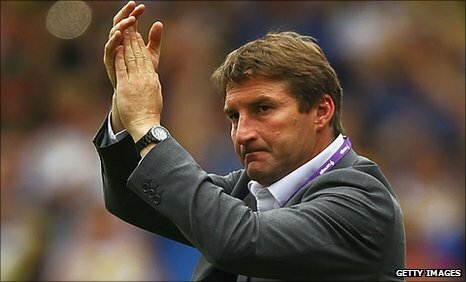 Warrington coach Tony Smith praised his side's defensive efforts as they returned to the top of the Stobart Super League with a 42-10 victory over Hull KR. The Wolves built up an 18-0 interval lead and although Rovers hit back with two second-half tries, the Wolves finished with a flourish to run out comfortable winners. Smith said: "In the first half our defence was unbelievable. To give them so much ball on our try line it was remarkable not to cave in. "I think we had around 36 tackles in a row on our own line just before half-time and that shows a fair bit of commitment from the team to defend that many back-to-back sets. "But it does have a price to pay if you have to defend that much and we didn't really control the ball well enough. We had a great start to the game with a couple of spectacular tries and I think we thought we were going to be able to do that all day.